Fack them and their girly white angel wing! That's how i like orc heads. Separated from their bodies. 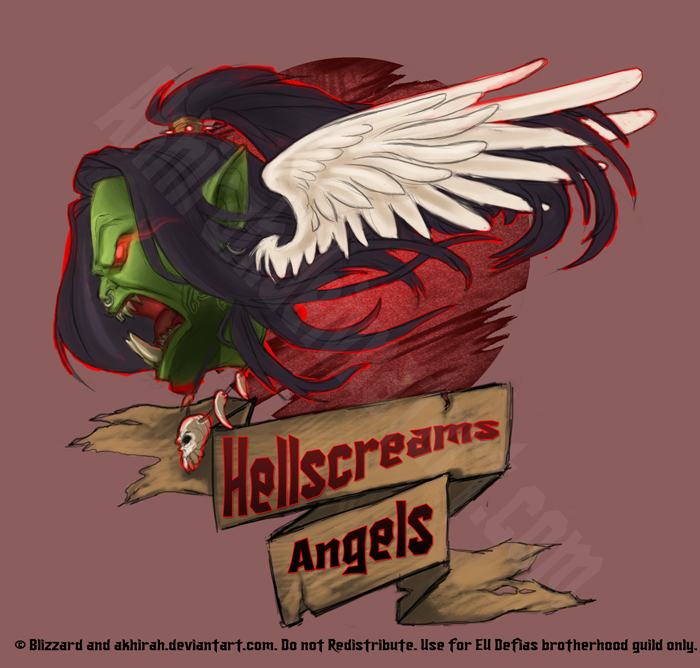 It is time for Hellscream's Angels to go united to beat the crap out of the puny alliance again! I suggest tomorrow, sunday 17th, as an excellent day for such fun and games! Afternoon, say. Join /hellsangels so we can coordinate! The snows have set in and winter's veil is rearin' it's ugly head. 'Tis the season to be jolly and joyous, of family and giving, of hanging mistletoe and pine trees. At least if you're a gurly elff that buys into Smokeywood pastures' corruption of this hallowed festival. BRUTALLY SACRIFICING HUMANS ON THE FIELDS OF ALTERAC SO THE SPIRITS OF FROST MAKE THE SNOW GO AWAY!!! Hellscream is warchief now, there is no more need to slink on the borders of Ashenvale like ghosts. It's time to reach out and restore the olde horde to it's former glory. 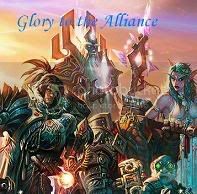 Tuesday evening we'll gather in the orgrimmar hold to recieve new orders before once again decorating the battlefields of kalimdor with tinsel and entrails. hrms, and whilst I wait for this bloody patch I'll git a proper recruitment post crafted fer the guild section and the realm forums.